ISLAMABAD: Apart from signing a number of agreements worth up to $15 billion, Pakistan and Saudi Arabia are also going to sign memorandums of understanding (MoUs) for a Free Trade Agreement as well as for the development of Special Economic Zones (SEZs) that have already been identified under the China Pakistan Economic Corridor (CPEC). According to sources, the back-channel negotiators on both sides have agreed to sign an MoU on an FTA, for which a Trade and Investment Framework Agreement (TIFA) would be signed by the end of this year. The MoU has been prepared for formal signature during the two-day visit of the Saudi delegation, scheduled on Sunday in Islamabad, the sources said. Although the concerned ministries/authorities of the two countries would negotiate the FTA in the coming months, the agreement has been part of the agenda of bilateral talks during the crown prince’s visit, the sources added. 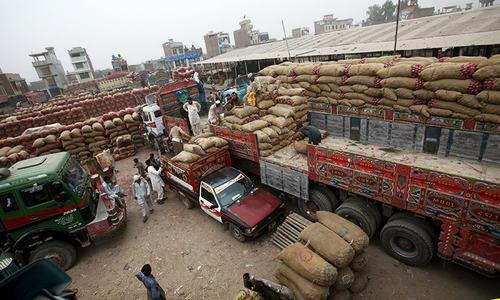 The two countries, as per the sources at the Ministry of Commerce, had earlier agreed to negotiate the FTA for trade liberalisation and enhancement. Pakistan had offered Saudi Arabia to negotiate the FTA directly or sign a preferential trade agreement (PTA) first to ensure mutual trade opportunity in each other’s markets. During the visit of a Saudi trade and investment delegation in September last year, both sides had discussed comparative advantages of the FTA. They also negotiated the tariff lines in order to provide mutual opportunity in trade and investment. According to officials at the commerce ministry, Pakistan could give the same trade facilities to Saudi Arabia as it offered to China in the FTA and Indonesia in the PTA to ramp up the trade volume. Pakistan is interested in increasing bilateral trade in the areas of textile, leather, sports goods and medicines so as to gain access to the Middle Eastern markets, they added. Apart from the FTA, sources at Board of Investment said, Pakistan has also requested Saudi Arabia to develop at least two SEZs, identified under CPEC, for which the Saudi side has agreed. However, the Arab country would decide about the SEZs once it goes through the feasibility study of the said zones. “Regardless, the two sides will sign the MoU during the scheduled visit of the crown prince,” the officials said. Pakistan is yet to develop any of the seven priority SEZs under CPEC. During the visit of the crown prince on Sunday, the two countries are expected to sign a range of agreements worth up to $15 billion, including three power plants in Punjab and an oil refinery and petrochemical complex in Gwadar. The two countries are expected to sign more than 10 MoUs in different fields, including the oil refinery, petrochemical complex, minerals, alternate energy, oil facility on deferred payments and exchange of prisoners etc. In the field of alternative energy, solar and wind power plants would be installed with an estimated investment of $2 billion. The expected investment, if materialized, would be the biggest investment by the Saudi companies in Pakistan on a commercial basis. Saudi Arabia has already announced to give Pakistan a total of $9.6 billion in loans to help keep its economy afloat and to avert the balance of payments crisis.